A festive evening, great music, honoured guests, but above all many books and excellent authors – these were Ikariáda Awards 2019. 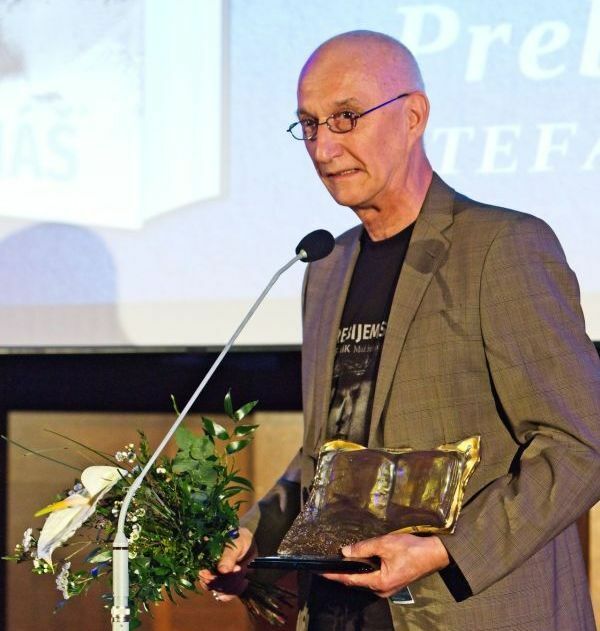 Last year´s most successful Slovak authors have been decorated. The largest Slovak publishing house IKAR has traditionally granted the Golden Book and Platinum Book Prizes and the Golden Pen Prize awarded by literary critics. An author receives the Golden Book Prize when his title sells 15,000 copies and more. This year´s winners are Jozef Karika with his novels Tma (Darkness) and Na smrť (Given up to Death), Táňa Keleová-Vasilková with her book Mama (Mom) and Jozef Banáš with his novel Prebijem sa! Štefánik (I shall prevail! Štefánik – A Man of Iron Will). The annual Ikariáda event is the highlight of the Slovak literary world and a celebration of books and authors. This year it has been attended and supported by the Slovak Minister of Culture Ľubica Laššáková. ⟵The new historic epic about World War I. written by Jozef Banáš has reached the bookstores in Slovakia right on time – 100 years after the end of the war.